Atlantic-kitchen-Cabinet-Refacing 32 Reviews Robert Stack. I just had new soft close hinges put on my kitchen and bathroom cabinets. We're big DIY people and I wanted a more current look so a couple of years ago I went out and bought new hinges and pulls. I installed them too. BAD IDEA! The doors never closed properly, they squeaked...they drove us crazy. I called Robert Stack/Kitchen Refacing because he came highly recommended by a friend. We are so happy we did. He was here quickly, the price was very fair, the cabinet doors were taken out on Wednesday and returned and mounted on Thursday so very quick turnaround. This would probably be considered a small job and many companies are not quick to respond to them. After 26 years I finally had my kitchen redone. I'm so glad I happened upon KITCHEN REFACERS. Robert was so great to work with, always returning phone calls and emails I'd send with questions in a timely manner. He helped me keep costs down with many great suggestions. Who needs to pay for a messy tear out, that is expensive as well. My kitchen looks amazing and brand new. Thank you so much for an all around great job Robert I would certainly recommend your work. Just wanted to thank you for the wonderful work that you performed on our kitchen. We are very pleased with the end result and I was personally very impressed with how quickly and efficiently you worked. I appreciated how you were primarily concerned with getting an end result that we would like, within budget of course, and not just trying to sell us something more expensive even when I suggested it! Your dedication and professionalism were top notch and your recommended subcontractors for plumbing and electrical were also spot on. I'm very glad that I saw the work that you had done for my father's kitchen and was convinced that you were the one to go with for my kitchen renovation. 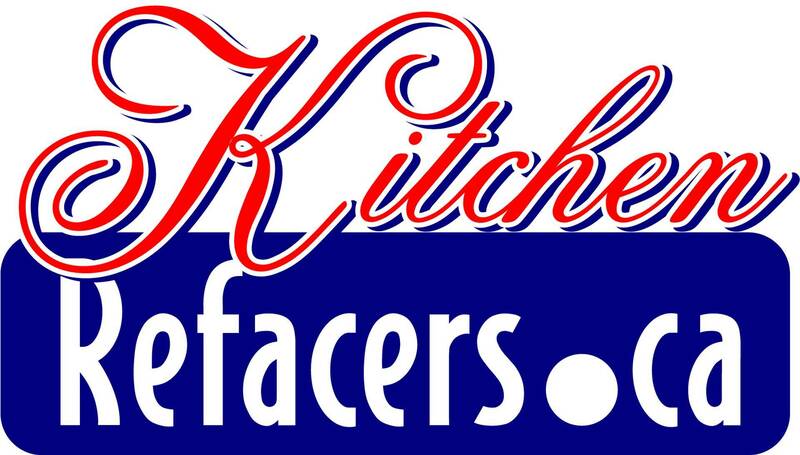 We would recommend Kitchen Refacers for anyone looking for a cost-effective upgrade to their kitchen. Robert Stack has completed a wonderful transformation of my kitchen. He displayed excellent work ethics and was a friendly, knowledgeable person who dedicated his time solely to my project. He was helpful to provide contacts with companies that were needed for other aspects of this renovation. I would recommend Kitchen Refacers and Robert to any choosing this work. Awesome work by Robert Stack of Kitchen Refacers. We had some ideas of what we wanted but Robert helped us with the ‘design’ - he has wonderful thoughts and ideas and was able to make those work to transform our kitchen. We had a kitchen that we did not really like and now we have a kitchen that we love!! It is very functional (easy to work in, has more counter and cupboard space) and looks amazing!. Robert is meticulous in his work and the final product is excellent. The cost is very reasonable and worth every dollar! Robert patiently answered our numerous questions and was able to make our kitchen dream become a reality! Thank you so very much Robert. Robert did a fantastic job on our kitchen renovation. Everything was done on time, was well organized and looks great. He even organized the plumbing and electrical work required. Well done. Would not hesitate to recommend him to anyone looking for a professional to do the job right! Thanks again Robert. How are ya ? been a while.I just wanted send you a big thanks for your efforts on our kitchen reno. Deanne and I both appreciate all the hard work that you put in and the care and attention to detail that came along with it. We are delighted in how the kitchen looks now, somehow , as well as looking a LOT more upscale it has gotten warmer and cozier. The entire family room/kitchen/dinning area just feels so classy yet totally relaxing, not sure how that happened !! We will make sure that if any of our friends are looking at a kitchen reno, they will be calling you. Robert , we cannot thank you enough for the wonderful job you did in our kitchen.The cupboard doors are way beyond what we expected. We are really delighted with the outcome and we would seriously recommend you to people looking for cupboard doors. Your work and the finished job is to your credit. Thank you so much. I wanted to let you know about all the wonderful comments we get from our family and friends about our kitchen renovation and wanted to pass along our sincere gratitude. We found you to be very professional, helpful and go above and beyond what we expected to ensure our Kitchen looked great. You design ideas were much appreciated as well. Please do not hesitate to use us as a reference if you ever need to. While researching the whole idea of kitchen re-facing vs. replacing old cabinets, we found Robert Stack's site with testimonials from 35 or so very satisfied customers. His good standing with the BBB, professional, friendly and prompt response to our request for an estimate, plus his excellent prices and obvious knowledge and helpful suggestions, convinced us to hire him for our kitchen project. He replaced our cabinet doors and hardware, adding crown molding for a completely updated look, modified our kitchen design to allow for an over-the-range microwave/fan unit, added two wonderful new roll-out shelves in our existing cupboards and two new lazy-Susans, all with the efficiency and skill of a true craftsman who delights in his calling. We were also pleased that Robert was more than willing to let us save a considerable amount by doing what we were able to do ourselves (removing the old cabinet doors and sanding and repainting our 38-year-old birch cabinets). He was so helpful and encouraging, providing the needed sample for matching paint colour to the new vinyl shaker doors, and recommending the particular acrylic cabinet/furniture paint required. In short, we are thrilled with our new kitchen and would highly recommend Robert to anyone wishing to renovate a kitchen in an economical way that also benefits the environment. We had Robert Stack of Kitchen Refacers refinish our oak kitchen cabinets Jan/2014. Before hiring Robert we researched him and read testimonials from previous customers. Kitchen Refacers being Better Business Bureau Approved was a huge factor in making our decision. We, also had Robert build another Kitchen Cabinet to match what we already had. When he came to re-install our kitchen cabinet doors/drawers and install the new cabinet, we were amazed at the perfect match up. He did an out standing job. My original cabinets are 25 years old and they look brand new. We are very happy with the incredible transformation he performed in our kitchen. Robert was excellent and very professional. I would highly recommend him to anyone. The business owner is also the guy who does the job so he cares about you, the job and your satisfaction. I have worked with several contractors over the years and Rob is indeed one of the best. I am very satisfied with the work he did, the timelines he provided and his free advise on my many other projects. My kitchen went from the ugly 1970's to a modern style kitchen. I can't be more pleased. Oh yes and his price was just right. I have and will recommend Kitchen Refacers to friends and family who want to update their kitchen on a limited budget. Recently we had a kitchen reno done by Robert Stack of Kitchen Refacers. The work was impeccably done and in the specified time agreed on. Mr. Stacks' professionalism was remarkable. He met our needs and more. His help and advice were much appreciated, as well as the great savings of half the price of what other companies quoted. We are very pleased with our new kitchen, and would highly recommend Kitchen Refacers to anyone, anytime. Thank you Robert for a job well done. Here are the pictures we promised to send. We are still surprised when we walk into our kitchen. It is such a contrast from what it looked like previously. We are loving our new kitchen and so is everyone else who has seen it so far. "Kitchen Refacers (Robert) comes highly recommended by the Cusicks. With a budget in mind and thoughts of remodeling our kitchen, we met with several companies and determined that Kitchen Refacers was for us. We met with Robert about refacing vs gutting the kitchen. After discovering the reasonable cost and great quality, our scope of work increased with budget remaining the same. The kitchen, bathroom and wetbar cabinets were refaced and resurfaced as well as a few special items added to the them. In addition, our condo unit now has a beautiful white buffet/hutch - all within the original budget. I had the opportunity, as Robert worked, to observe his work ethic, his attention to detail, the pride he takes in his work and the progression of the work from old to new. Wow! what a job. When John returned from the North the old cabinets were no more. He walked around looking at the rooms in total amazement, in awe, of the transformation. I belief that at least once a week we comment to each other how very happy and pleased we are with all of the cabinets and all of the extra space we now have. The kitchen is so much brighter, the bathroom appears more open and the Dining room, well what can we say there - the buffet/hutch: "a piece of art". Robert takes pride in his work, pays close attention to the details and focuses attention on customer satisfaction. Merry Christmas and Happy New Year to you, yours and your family. Attached are a few Christmas decorated snaps of the cabinets. - Love the look. PS. the before and after snaps of all areas are in an earlier email to you. If you need them resent, let us know. Also, if you'd like to drop off a # of business cards, We'd love to post then on the condo bulletin board with our before and after pictures. We just wanted to send you these pictures of our kitchen before, and after. As you can see, it's a wonderful transformation! Thank you so much for all your suggestions. We are so thrilled with how it all turned out. The cupboards look fantastic and the countertop is perfect for the backsplash we had picked out. Also, the flooring idea was perfect. You gave us a quote that was very competitive and reasonable. Your work was very professional, the job was completed within the timeframe you promised, and the kitchen was left neat and tidy...no mess. We would highly recommend you to anyone considering giving their kitchen a face lift. Thank you so much!!! Thank you for your attention to our kitchen and please do not hesitate to add our testimonial to your site. We contacted Robert about our kitchen doors that were showing significant wear, and the dark stain was wearing off in spots. Robert advised we take the doors off and he take them to his shop where he would sand them all off and restain. When he brought them back, we put on new hardware and the kitchen looks like new for a fraction of the cost. Robert even dropped by after to help with minor adjustments to the hinges which was above the call of duty. We would recommend Robert for any of your kitchen needs. We had considered replacing our entire kitchen, but the overall cost was prohibitive. Robert showed us how he could update our 19-year old kitchen for considerably less, without sacrificing choice, quality and options - solid wood, variety of finishes, counter-tops, lazy susan, roll-outs, and more efficient use of space. He was even able to fix some of the 'flaws' in our original kitchen. In the end, we did get a totally new kitchen and are more than pleased with the end result. The before and after pictures speak for themselves. In addition, we appreciated Robert's quality workmanship, promptness and attention to detail. Everyone who has seen our new kitchen has been quite impressed. And we are, too. Thanks very much for the finishing touches this week. We would be happy to have you ad this testimonial to your web site. We contracted Kitchen Refacers to reface our kitchen cabinets after another company left us hanging. Robert Stack gave us a very good quote knowing that we were already in a venerable situation and that he could have taken advantage of that yet he did not. When he started the job his workmanship and professionalism were both equally admirable. As a tradesman myself I feel pride in people that themselves take such pride in workmanship as I do. The day that he installed the counter top I came home from work to see him sliding his hand over the seams in the countertop and feeling the sense of a job well done and it was. Our old cabinets had such good bones that we didn't want to just toss them out and Robert used that frame to build us a wonderful new kitchen space. Watching him work was the best part. He was very methodical as he went from one change to another with the end result being an entirely look to our kitchen space. We are thrilled with the outcome and would like to thank Robert for his vision, talent and obvious talent for what he does. He is truly professional in his workmanship and his dealings with his clients and from us comes highly recommended. Here are the pictures of the kitchen. I would have sent them sooner but we still have not changed the light fixtures and the backsplash has not been installed yet. Oh and I don't like the paint color so we are going to paint it again.... I think Glen is ready to do me in. I want to thank you for the wonderful job you did on our kitchen. With a few key changes, you were able to make my kitchen cabinets so much more functional and now there is no wasted space. I wasn't completely sure what the end product would look like, but I couldn't be happier with the results.The cupboards look great. They look like brand new custom cabinets. You said you would take three days to do the kitchen and in three days you were done. I was amazed at how quickly the work was done. We recently had our townhouse kitchen cupboards refaced by Robert Stack of Kitchen Refacers. We were impressed with Robert right from the start of the project. He was quick to respond to our initial contact and provided all the information we needed to make our decision. The entire job went smoothly and the end result exceeded our expectations. Robert’s helpfulness and attention to detail were what stood out. We have a new kitchen at less than half the price of having the kitchen cupboards replaced. The cost was also less than other quotes received for refacing our cupboards. In addition, Robert’s workmanship was without question -- superior to a job my neighbour had done by one of his competitors. In all, it was a thoroughly professional job that demonstrated Robert’s superior workmanship and outstanding attention to detail. Robert Stack is a professional and pleasant guy to have working in your home. He took an older, very out-dated kitchen and made it look brand new. All work was completed in a timely manner and very little mess was left behind. I would highly recommend Robert if you are looking to have your kitchen revamped. Kitchen Refacers shows what can be done with a little imagination and helpful guidance from Rob Stack within the limitations of an existing kitchen. The new countertop has improved the appearance of our kitchen 100%. We are extremely pleased with speed and efficiency with which it was replaced. True to the assurances given at the beginning, the work was done with the least possible mess and disruption. Both you and your associates were scrupulously punctual and kept us well informed at all stages. Over all, we are impressed just how well the project was organized. When the inevitable minor "hiccup" occurred, it was resolved without delay. The other companies, we contacted for estimates to replace the counter top, insisted it was our responsibility to hire and schedule the other craftsmen required for the project. Robert Stack was the only one prepared to take charge of the whole project. He has good working relationships with a number of craftsmen and efficiently scheduled pumbers and gas fitters to coincide with the countertop installers. We are happy to recommend your services to anyone looking to update their kitchen. Just a few words to add to those of your many other satisfied customers. We were delighted to work with you and help us realize a truly beautiful, modern and functional kitchen. We were pleased with the creative ideas you had to help us further improve the original ideas you provided, for example, the bookcase for all the cook books. Certainly no project is 100% complete or perfect, especially after its completion and using it for a spell. We were happy that you were able to make final tweaks and adjustments to bring it to completion. After twenty years of use and bringing up of twin boys and a daughter, and pets, plus enduring the many visits of their friends, our kitchen was worn out. Appliances were getting on and decorating and fixtures were dated. To address this, we wanted to brighten up the work area using a combination of new lighting and moving of cabinets plus repainting, new flooring, etc. After consultation with Rob, we were pleased to learn that our cabinetry had ‘good bones’ that would greatly facilitate a renovation as opposed to a complete (and more costly) rebuilding and replacement. In addition to the cabinets, the countertop style was recommended by Rob and quickly and professionally installed by his associates. As a geologist, I was intrigued by the features of the rock – commonly known as ‘Baltic Brown’ - and learned that it is a unique type of metamorphic granite known as “Rapakivi” from Finland where it is quarried for ornamental purposes. The flooring and backsplash is porcelain and professionally installed by Taylor Flooring (Continental Slate – Egyptian Beige) – thank you Bryce! Lighting was sourced from Living Lighting in Dartmouth (Murray Fleiss Collection), plumbing fixtures and sink from Better Baths, Halifax (Grohe and Blanco), cabinet fixtures from Lee Valley (Glacier – Oil-rubbed Bronze), and paints from By Design Paint & Wallpaper, Bedford (Benjamin-Moore ‘Aura’). This project also included new flooring in the foyer, hall, laundry and powder rooms with attendant painting and new fixtures. It was a major project and highly disruptive to normal living. Nevertheless, we were blessed with good weather over the project and most importantly the professional services of Rob Stack, Bryce Taylor and their teams and are most delighted with the final results. I just want to tell you how pleased I was with my new kitchen cupboards, granite counter and new sink. It all went so well and all the work was completed earlier than promised. You were so efficient in organising the plumber, to coincide with the countertop installers and then the new doors put on, without any mess and very professionally. Everyone loves my new kitchen and as soon as I have the new backsplash I will send some photos. Thank you so much. We are very pleased with the improvements that Atlantic kitchen cabinet refacing made to our kitchen for a fraction of the cost of new cabinets. Because of the savings, we were able to afford a quality countertop and new appliances. And we have received many compliments from friends and family on our "new" kitchen. My kitchen is a much more pleasant place to work now that it has had a facelift. I was impressed with your work and particularly with the fact that when we encountered small problems with a couple of doors, you responded immediately and positively. It means a lot to have work done by someone who stands behind his work and product. Just wanted to write and tell you how excited and happy we are with our kitchen. You took my old 50+ kitchen and made it brand new. The custom cabinets you also built where I did not have any cabinets brings the kitchen together and it looks absolutely wonderful. Family and friends have also commented on your work and I have nothing but good words about you & Kitchen Refacers. We would not hestitate to recommend your workmanship to anyone who is looking to remodel their kitchen. Again, thank you so much....We love our kitchen. Just wanted to write and let you know how pleased we are with our updated kitchen. You did an absolute marvelous job. We found you to be a very professional and honest worker. We would not hesitate to recomend you to anyone wanting to have their kitchen remodeled!! Thanks again for the great job!!!!! In October 2007, Robert Stack of Kitchen Refacers renewed our kitchen in three days with solid oak doors, oak trim, and oak crown molding over all the cabinets. He also installed nine sliding drawers in the cabinets to provide easier access to kitchen dishes and other utensils on those shelves. Robert is an efficient, neat and hard-working man with a distinct attention to detail. My wife and I are very pleased with the job done by Robert Stack of Kitchen Refacers and we would not hesitate to recommend him to anyone wishing to renew their old kitchen. I Just love my kitchen! I couldn’t let another day go by without telling you how nice my kitchen cabinets look since being refaced. I never thought that my kitchen could ever Look so nice, clean, refreshed and modern. Everyone that comes to visit cannot get over the improvement; they think I have had all brand new cabinets installed. Robert, I can’t thank you enough for a beautiful job and in two short days to complete not to mention how reasonable the price was, it was another added bonus. Thank you for your wonderful customer service, suggestions, and workmanship. You don’t find many people in business that call their clients back for follow up, just to ensure that everything was done to their satisfaction. Once again, thank you very satisfied customer. On July 5, 2005, Robert Stack of Kitchen Refacers.ca came to my home to reface my kitchen cabinets. My cabinets were over 50 years old and I was amazed and totally satisfied with the results and workmanship that Robert displayed. I would recommend his work highly to anyone for several reasons. First, he was punctual and always cleaned up after himself and he completely finished the work. My cabinets make my kitchen look like new and finally up to date. For all the work he put into these cabinets, I couldn’t ask for a more professional job or better price! I had Kitchen Refacers redo my kitchen and was very pleased with the workmanship, it was outstanding and Mr. Robert Stack did a wonderful job. He is honest and such a hardworking individual. He always ensures that you are informed of all things that he is doing while working in your home. My kitchen is soooo nice, it takes your breath away! Best of all, I saved many dollars in having them refaced.